I love movies about cooking. From Ratatouille to The 100 Foot Journey, if they’ve made it, I’ve probably seen it. I love watching them prepare dishes, find themselves and eat. And the food always looks so good. 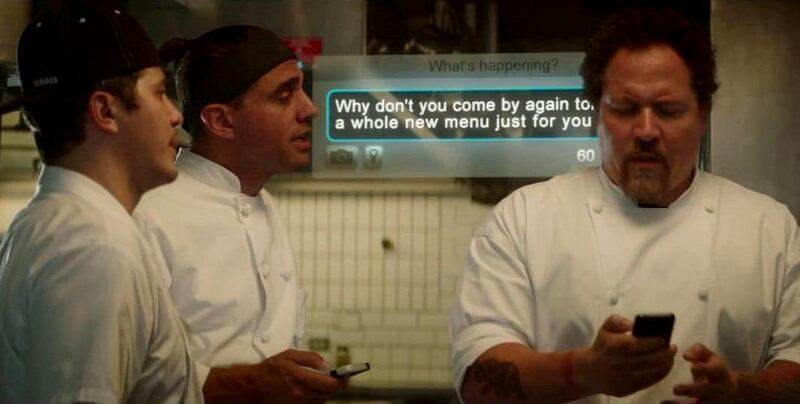 Chef is a great movie. I watched the trailer ages ago, but then when the time came, the movie didn’t make it to my local cinema. So I waited until I could get my hands on it, but then I still waited. Because it never felt like the right time to watch it. Until the day I had to eat a defrosted pasta salad that I was already sick of. 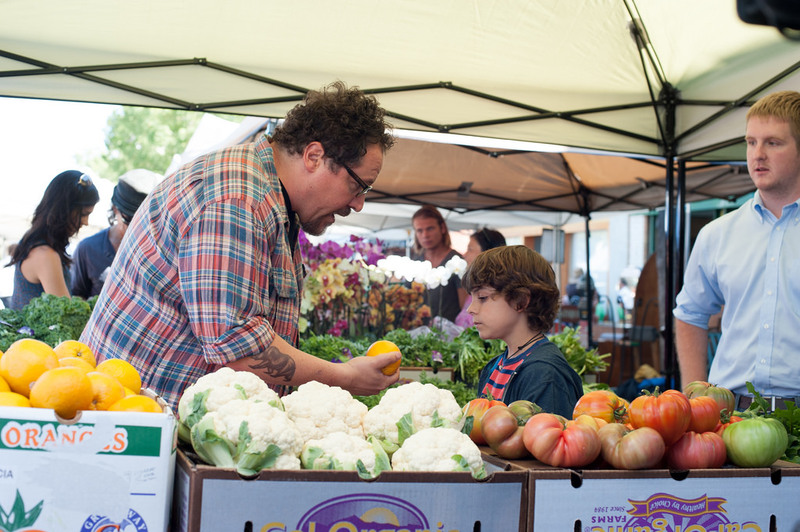 Jon Favreau’s film introduces us to Carl Casper (Favreau), a great chef at a Los Angeles restaurant where the owner, Riva (Dustin Hoffman), doesn’t appreciate his creative input. When they get reviewed by a feared critic (Oliver Platt), Riva insists on sticking to their trusted menu. The result is a terrible review that leads to Carl getting into an online feud with the critic over Twitter. As he leaves the restaurant, Carl finds himself at a loss. When his ex-wife Inez (Sofia Vergara) suggests he should get a food truck, Carl tries to fight against it, but eventually gives in. 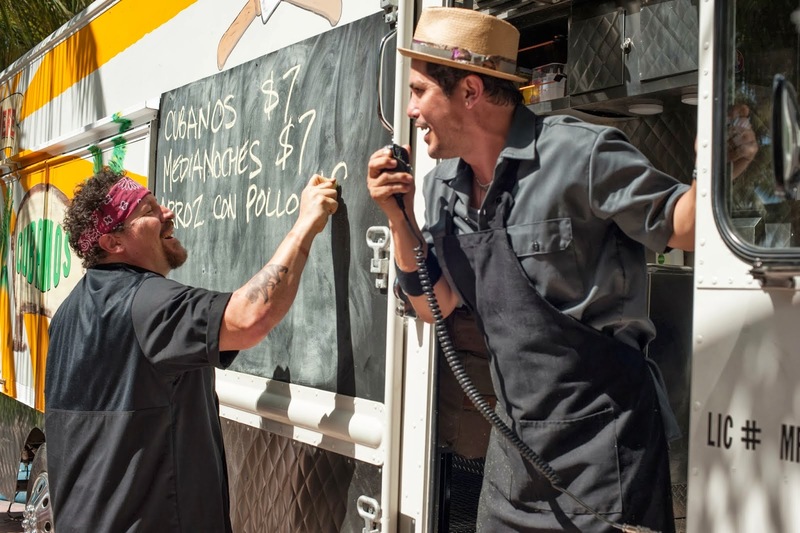 Along with his son Percy (Emjay Anthony) and his former colleague Martin (John Leguizamo – the guy from Moulin Rouge), they start a Cuban food truck and decide to take it around the country, from Miami to New Orleans and all the way back to LA. On the trip, Carl finally has a chance to reconnect with Percy and to share his world with him. Percy also manages to show off his social media skills by increasing the food truck’s online presence. There’s even a cameo by Russel Peters, one of my favourite comedians. The movie is about the food. But it’s also about family. And friends. About the importance of believing in yourself and following your dreams, even if they’re crazy. It’s about listening to your heart, and connecting with the people around you. John Favreau has done a lot of movies. But he’s been stuck in a rut, always playing the best friend, or the trusted colleague, or you name it. As a producer though, he’s back some seriously great projects (think Iron Man) and with this movie, he’s combined everything: starring, producing and directing. And it’s good to see someone doing their best. 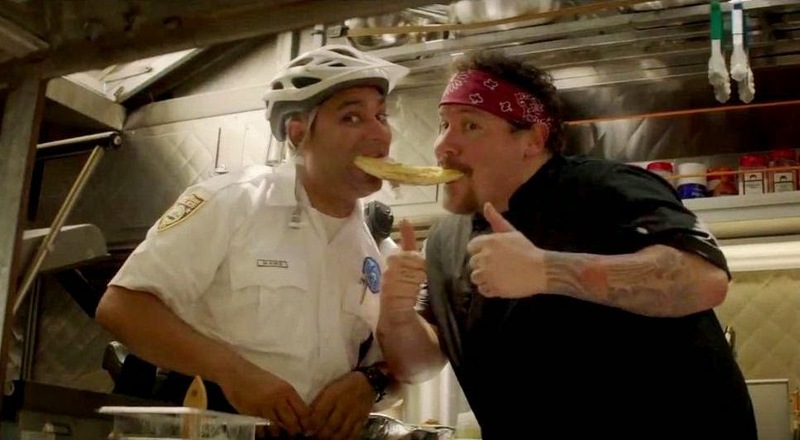 Tags: chef, cooking, cuban, food, truck. Bookmark the permalink.